Will the eurozone become an European “Super League”? An idea that has been hovering above the European football for years - the richest and most successful clubs to unite in a so-called " Super League”, which would obviously receive the lion's share of revenues from advertising and TV rights. The idea, of course, is controversial and is meeting resistance from the 'second echelon' clubs. Similar idea is now inciting the spirits in the European Union - the euro area to have a separate, permanent economic governance, which to be able to take common decisions in a faster and more organized manner. The proposal, as you may guess, belongs to France and in a typical French style includes the institutionalization of such a governance - with a president of its own and a secretariat. 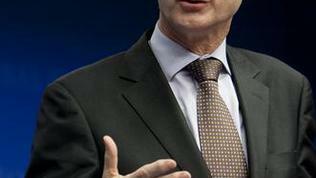 A favourite to head the "economic governance" of the euro area is the President of the EU Council Herman van Rompuy. As it became clear, the Belgian is not a stranger to the idea and has claimed leadership by heading two important meetings of Eurogroup leaders. The regular meetings of the finance ministers of the 16 (on the eve of the Ecofin) are usually chaired by the Prime Minister of Luxembourg Jean-Claude Juncker. 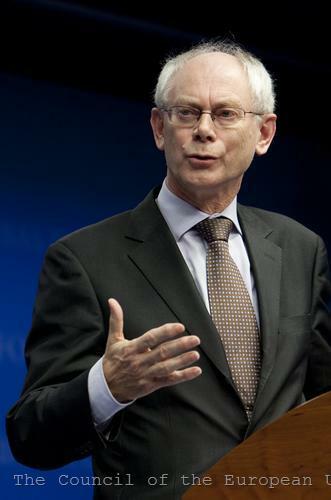 According to European diplomats, Van Rompuy himself does not believe that the establishment of a separate governance of the euro area should be formalized as a new institution with a separate secretariat - instead it could use the administration of the Council of the EU, led by Van Rompuy. So far, the French proposal for a new European institution has met the skepticism of Germany, which fears that such a decision could affect the independence of the European Central Bank and lead to state intervention in market economy. 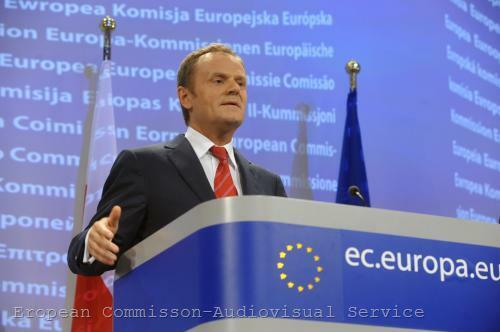 Poland strongly opposed the separation of the euro area in the elite part of the EU: "As a country that is aspiring to join the eurozone, we would like the eurozone to be a leader but not an exclusive elite within the European Union", Polish Prime Minister Donald Tusk told in Brussels. According to him, this could lead to a two-speed Europe: "It's very important that the European Commission stands up for equal standards for all EU member states. 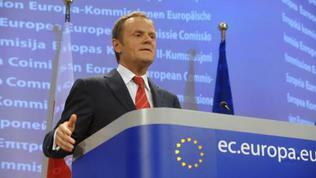 We want a united Europe that can take actions in solidarity for the benefit of the EU as a whole." 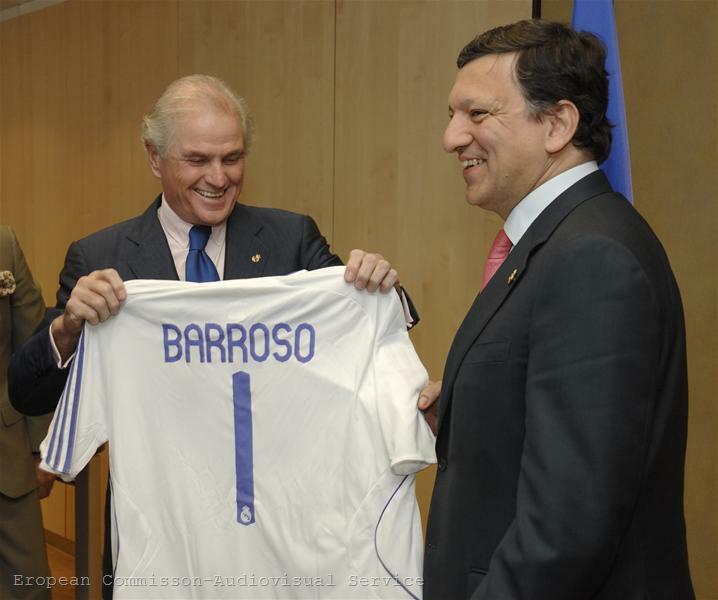 This position is fully shared by the President of the European Commission Jose Manuel Barroso : "The general framework should be the same for the eurozone as for the non-eurozone countries. 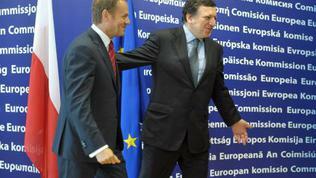 We can't have a split in the EU" . Recent Commission's proposals to strengthen financial discipline and supervision and for greater coordination of economic policies of Member States are exactly in this style, with common rules for all member countries, but with tighter control, particularly on competitiveness in the euro area. 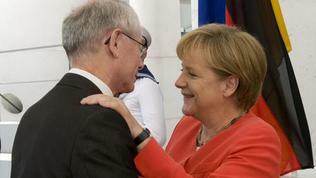 In the same spirit are also the first decisions of the Task-force, led by EU President Herman Van Rompuy. Unstable market positions of the euro and the fear about the future of the eurozone, however, may pour water in the mill of supporters of the idea of a "Super-Euro-league”. 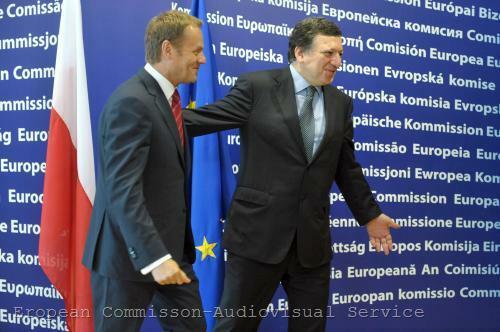 Therefore, the other countries (except, of course, for Great Britain, which firmly refused to be treated as eurozone countries) should follow the example of Poland and clearly state a position in support of common rules and common governance in the entire EU. Because all of them would like to become members of the eurozone as well and will have to work on their standards in order to be ready. Leaving the non-euro area countries in the periphery of Brussels' attention is the last of what the EU needs if it really wants to emerge from the crisis more cohesive and united. And if we go back to football, imagine how the best teams in Europe separate themselves in a championship of their own. Unfortunately, the analogy with the euro area is not literal, because not all 16 countries have first-class clubs and because the English teams are out of the account. But if we disregard the details, the metaphor is this: If we imagine that the euro area could become like a football “Super League”, when do you think the Bulgarian teams of “Levski” or CSKA will join? In a dream, The Apostle John saw God's appointed Super League coming to rule the world and he provided his vision to us in Revelation 13:1-4 where out of crisis, nations would form alliances and coalesce into ten regions of global governance. Most definitely, the Eurozone will become a European Super League: it is a foregone conclusion, as it is a matter of fulfillment of bible prophecy. In a dream, The Apostle John saw God’s appointed Super League coming to rule the world, and he provided his vision to us in Revelation 13:1-4 where out crisis, nations would form alliances and coalesce into ten regions of global governance. The era of global governance was introduced by the announcement of the Security and Prosperity Partnership by the triumvirate of North American Leaders in 2005 at Baylor University; this established North American as a home, or homeland, for the continent's people. In similar vein by the May 2, 2010, Announcement of agreement between the Eurozone countries and the International Monetary Fund to a €110 billion loan for Greece, conditional on the implementation of harsh Greek austerity measures as reported by Gabi Thesing and Flavia Krause-Jackson May 3, 2010 in article "Greece Gets $146 Billion Rescue in EU, IMF Package", Finance Leaders and State Leaders waived national sovereignty and gave unified seigniorage funding to Greece. And by the May 9, 2010, Europe's Finance Ministers Announcement of a comprehensive rescue package worth almost a trillion dollars aimed at ensuring financial stability across Europe as reported in BBC May, 10, 2010 article "EU ministers offer 750bn-euro plan to support currency" the leaders went beyond the terms of treaty law and constitutional law to effect a bloodless coup. All those living in countries participating in the rescue package are melded together into European Economic Governance; the principle of national sovereignty is part of a bygone era; they are no longer citizens of sovereign nation states; those living in Europe are now residents of a region of global governance. The leaders called for a special purpose vehicle, SPV, that would borrow up to 440 billion euros with euro zone country guarantees for euro members in trouble. 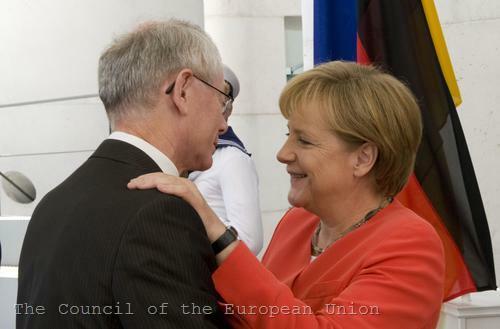 According to sources quoted by Reuters in Friday June 4, 2010, article Details Agreed For Euro Zone Loan Vehicle, with reporting by Jan Strupczewski and Julien Toyer, the SPV was agreed upon by EU Finance Ministers in a task force led by Herman Van Rompuy. It is technically known as the European Financial Stability Facility, EFSF, which is for all practical purposes a European Debt Agency. The SPV’s funding will come by issuance of Eurobonds. It is significant that the European Financial Stability Facility, will take national governments out of the equation: there would be no need for the SPV to ask national parliaments for approval of its actions each time it has to borrow, the sources said. Thus, we have a hierarchical authority for monetary seigniorage in Europe. According to the Reuters article, “the idea of the SPV emerged in May 2010, as a way to help euro zone countries to which markets effectively refused to lend like recently in the case of Greece. But unlike in the case of Greece, it would be the SPV that would borrow on the market against guarantees issued by all 16 members of the single currency area. In Greece’s case, each of the euro zone countries has to go to the market and raise the money individually to extend bilateral loans to Athens”. The proposal for establishment of the EFSF Monetary Authority and its issuance of Eurobonds will go for approval at the June 17, 2010 EU Finance Ministers Summit. Klaus Regling, who is a German national and a former director general of the European Commissions economic and financial affairs unit, is expected to start in his role as chief executive officer of the European Financial Stability Facility on July 1st, reports Arthur Beesley of the Irish Times in article Ministers Agree To Give Audit Power To EU. Luxembourg finance minister Luc Frieden signed an act legally establishing the fund. The fund, known by the acronym EFSF, will be based in Luxembourg and its board composed of representatives from euro area governments which are to provide the €440 billion in national guarantees to backstop the 16-nation currency. “Regling is one of the foremost experts in international and European finance,” Luxembourg prime minister Jean-Claude Juncker, who heads the group of euro-area finance ministers, said in the statement. “With him as CEO, the EFSF’s quality and credibility are secured from the start,” according to Bloomberg.